Johan Gars holds a MSc in Engineering Physics from the Royal Institute of Technology in Stockholm and a BSc in Economics from Stockholm University. In 2012 he defended his thesis "Essays on the Macroeconomics of Climate Change" thereby completing his PhD in Economics from Stockholm University. Prior to joining the Global Economic Dynamics and the Biosphere, he worked as a researcher at the Beijer Institute of Ecological Economics. Within Global Economic Dynamics and the Biosphere, Johan's research will aim at increasing our understanding of various economic aspects of global environmental change. 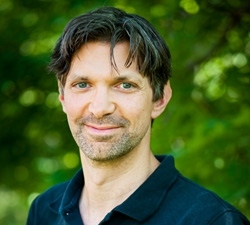 Besides continuing his work on macroeconomic aspects of climate change, energy supply and technological change, he will work on issues related to how trade in goods and financial instruments determine the use of natural resources and how the welfare effects of this resource use is distributed across countries.